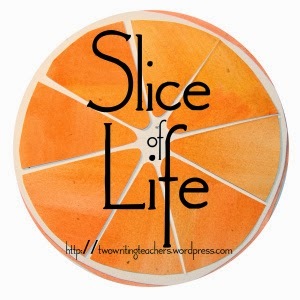 Raising Readers and Writers: Slice of Life...Why Digital Writing? What a great experience your kids had! I love that they recognized what would be the most effective tool to use. I'm sure you will get lots of invitations into classes. I know I'd take advantage of you (if I was still teaching). 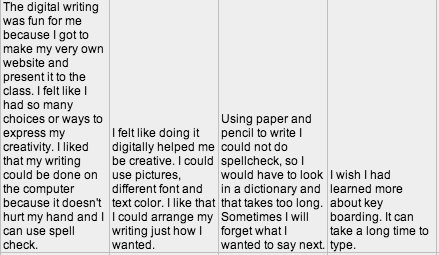 Thank you for sharing your kids' thought about this wonderful writing experience, Julie. This was exactly how my kids felt too - it was such a rich year of writing and sharing, so worth going all out for. Now, the lucky teachers in your district will get to learn from your experience. 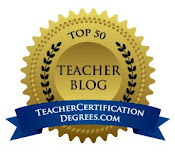 I love the wise and thoughtful responses from your students! 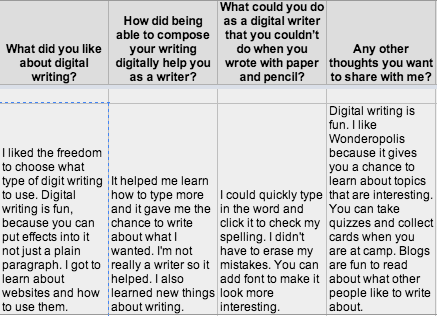 Digital Writing is amazing and my students loved it this past year too! I'm curious about the websites they made. What platform did you use? What did they do? Awesome post!! Thanks! This is what I call authentic research. Isn't it great when you see your beliefs about writing come to fruition? It is about the meaning. Students make meaning the same way we do, by writing with purpose and connecting to others. Thanks for sharing. There is so much in this that makes my heart sing. 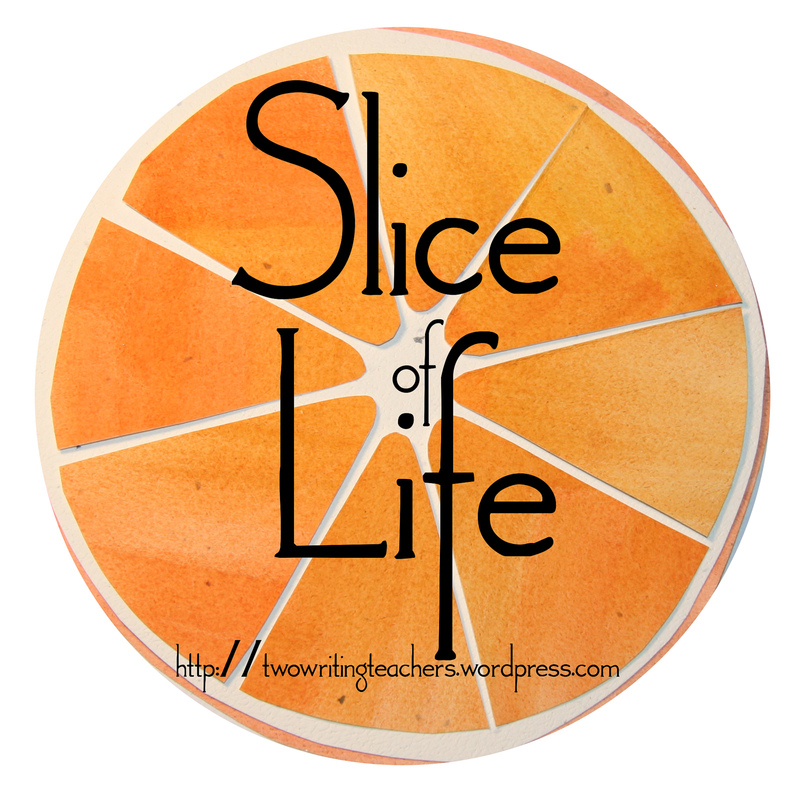 Choice- so critical to creating voice for writers. Writing going beyond the classroom walls and broadening the concept of audience. Reflection, from both students and yourself. The true voices of student writers. As Margaret notes in her response, this was such an authentic learning experience. There is so much to recommend here. Thank you for sharing your students' words with us. 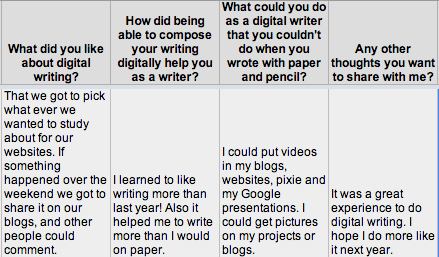 You are encouraging me to think about ways we can do more authentic writing in high school. CyberPD is helping. Your words: "It's not about the tools, it's about the meaning. 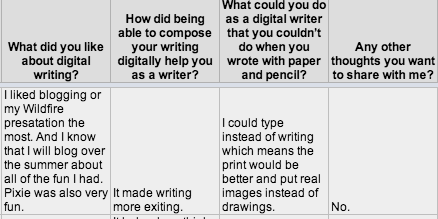 It's important to help young writers understand the purpose of different digital tools and how those tools can help them get their meaning across to others," is for everyone, not just those who work with young students.